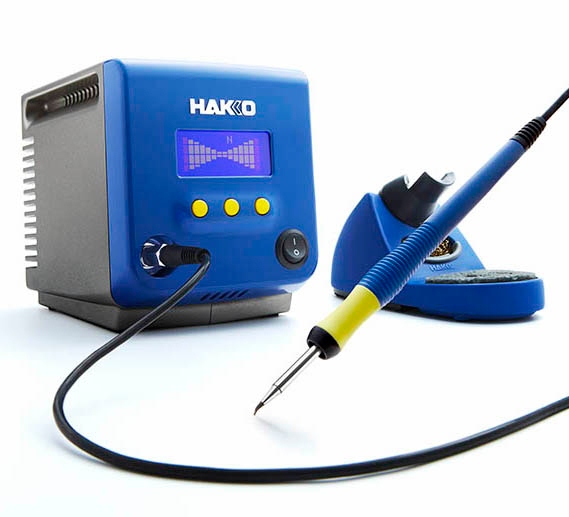 Heard about the Hakko FX-100 Soldering Station? Well, we just added the station and two accessories (the FX1001-52 7.5" Soldering Iron w/Holder and the FH800-51BY FX-1001 Iron Holder) to QSource.com and we wanted to tell you a little about them. 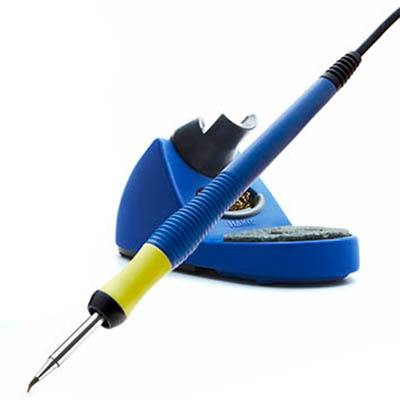 The Hakko FX-100 (Hakko part number FX100-04) is an ESD-safe, stackable soldering system with a compact design. Providing a simple, easy-to-use interface, the FX-100 has a large back-lit display that allows for programming tip and solder selection profiles, setting temperature levels, receiving continuous tip feedback, and enabling password protection (to block unauthorized changes to the settings). Using a micro-processor to increase performance and recovery of its T31 Series Tips (Please note: Tips are not included), the FX-100 Soldering Station heightens its performance by reducing power and maintaining a low EMI level. A built-in activity monitor allows users to track cumulative data on tips and manage working costs of the system. Auto-power shut off and tip sleep functionality help save energy and extend the life of the unit and tips. The FX-100 Soldering Station and accessories are available for purchase at QSource.com. You may also call us (800-966-6020) or contact us via email. For a complete selection of other fine Hakko products, please see our Hakko Department. If there's a product or topic you'd like to see The Q Source Resource write about please let us know. We'd also appreciate if you share this blog post with your friends and colleagues via the social media links below. If you have questions or remarks about Hakko products or anything on The Q Source Resource or QSource.com, please leave us a message in the comments section. You can also read dozens of other Hakko-related posts by searching The Q Source Resource for Hakko.